Quinoa is everywhere. It’s on millions of blogs, on restaurant menus and even on airplane menus (I swear!). And for good reason. 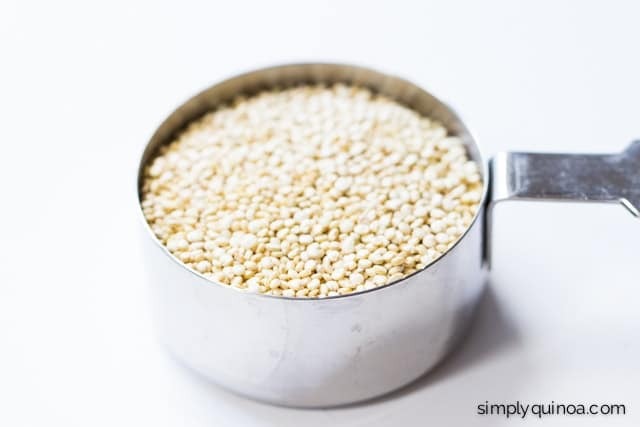 Quinoa is an incredible superfood that is packed with protein, fiber, vitamins and minerals. Most people use quinoa as a substitute for rice. 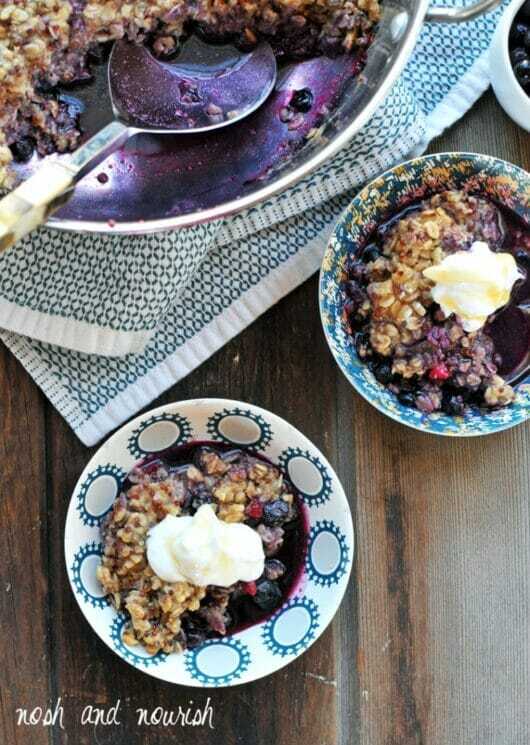 It goes well with stir-frys, casseroles, salads and even for breakfast. But what some people don’t know, is that quinoa also comes in flour form! 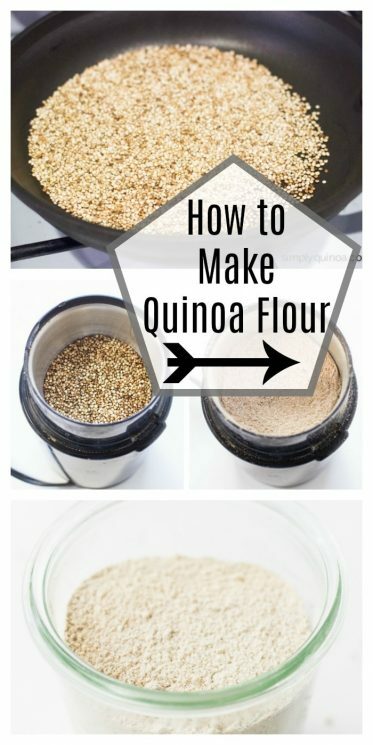 Just like other gluten-free or whole grain flours, quinoa can be turned into a very fine flour, which is amazing in baking – not only because it’s easy to work with, but also because you get all the nutrients you normally do with the whole seed. Here’s the thing, quinoa flour is expensive. 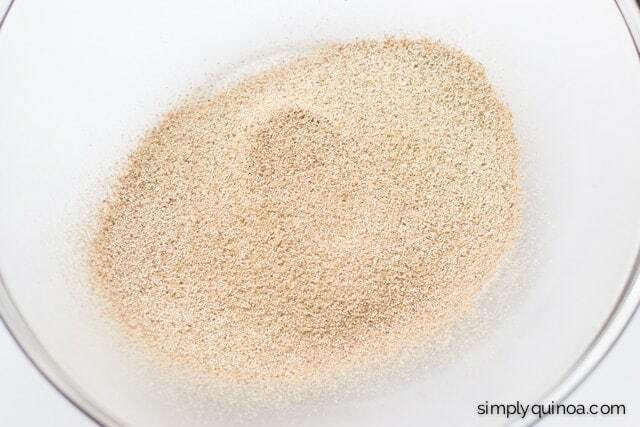 At some health food stores, a bag of quinoa flour can cost you upwards of $13 – $15! And sure, it’s super healthy and a great way to add some protein to our sweet treats, that isn’t sustainable for everyone. 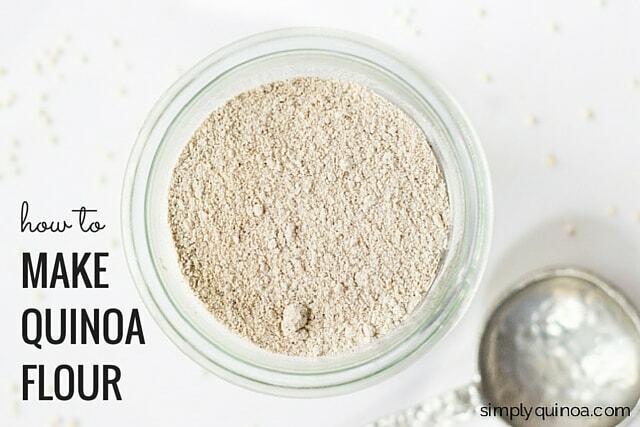 But I’m going to let you in on a little secret: you can make quinoa flour at home! Start with the whole raw seed (anywhere from 1/4 – 1 cup). Now, the next two stages are optional, but I think lend a really nice flavor to the flour. 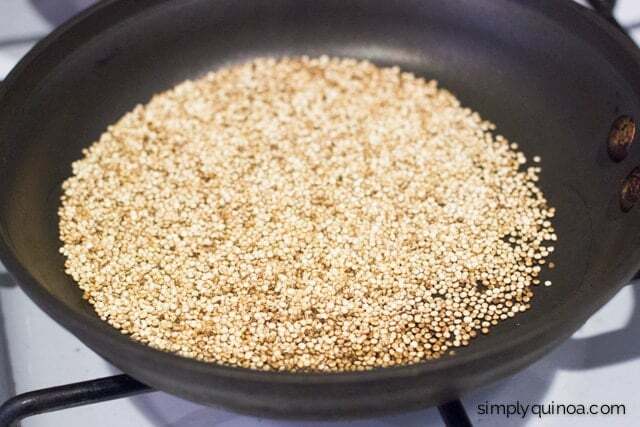 Add the raw quinoa to a dry skillet and toast the quinoa until it begins to brown and pop. It will have a distinctly nutty smell. Be careful here as quinoa can burn quite quickly, so keep a close eye on it. Once toasted, transfer the quinoa to either a spice grinder (like I have here) or a high-powered blender. Blend/grind the quinoa on high for 1 minute until it’s a fine powder. 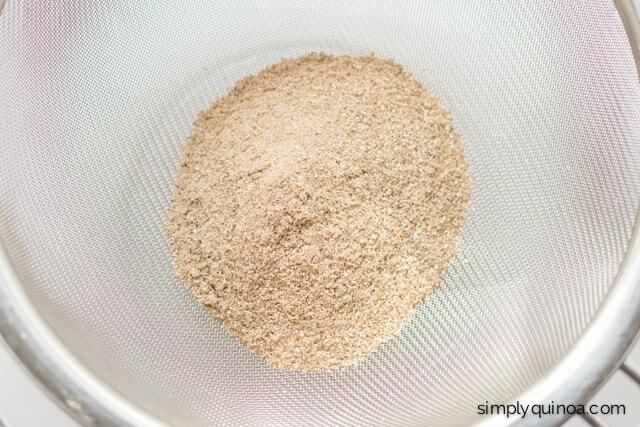 Place a fine mesh strainer over a bowl and add the quinoa mixture. If the quinoa was toasted, allow the flour to cool completely before storing. If not, transfer it to a sealed container and store until you’re ready to use it! See how easy that was? 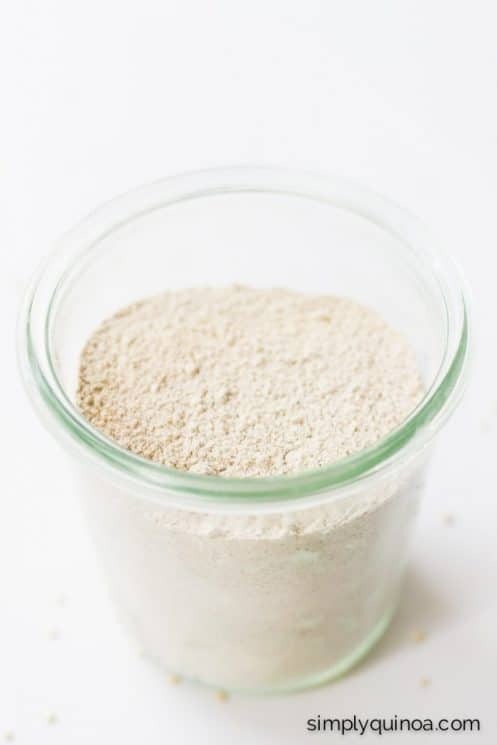 Making your own quinoa flour is a cinch and will end up saving you loads of money. (optional) Add the raw quinoa to a dry skillet and toast the quinoa until it begins to brown and pop. It will have a distinctly nutty smell. Be careful here as quinoa can burn quite quickly, so keep a close eye on it. 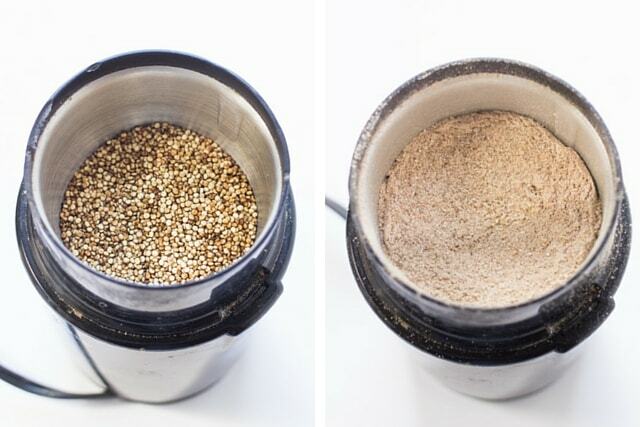 Once toasted, transfer the quinoa to either a spice grinder, or a high-powered blender. Blend/grind the quinoa on high for 1 minute until it’s a fine powder. 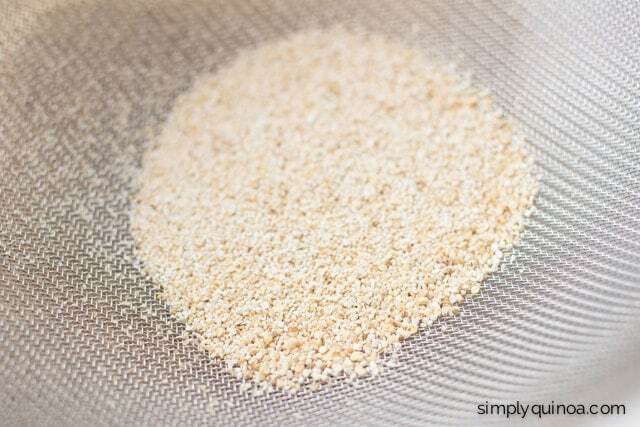 Place a fine mesh strainer over a bowl and add the quinoa mixture. Sift until only large chunks remain. 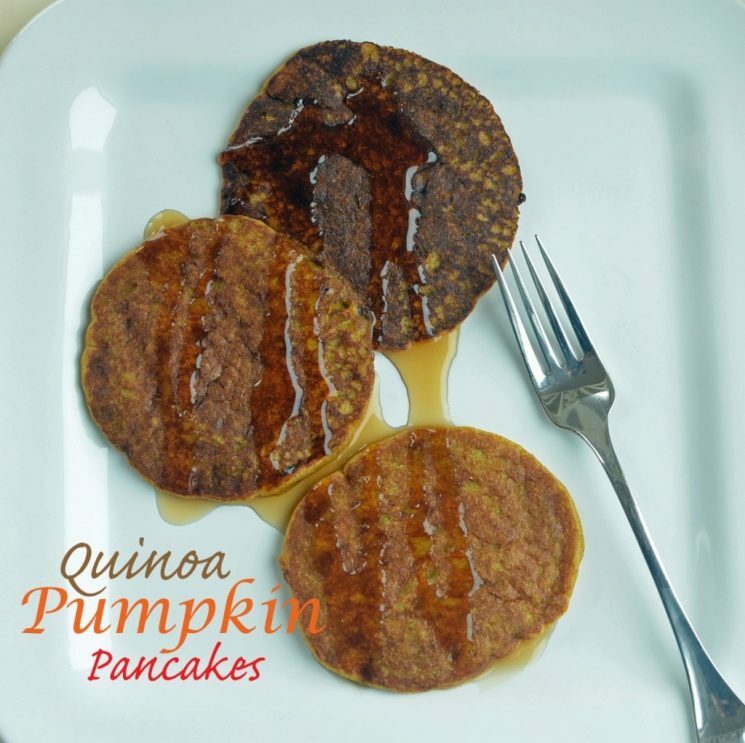 Definitely going to try making this quinoa flour – and the pumpkin pancakes (already pinned…)! generally when quinoa is used it is washed first- is this a step that should be considered prior to grinding? Darn! I’m wondering the same thing. Thanks! I definitely needed to know that!! Can you add to the flour yeast? So I can make puzza? It is always a good idea to rinse your quinoa first. Thanks! 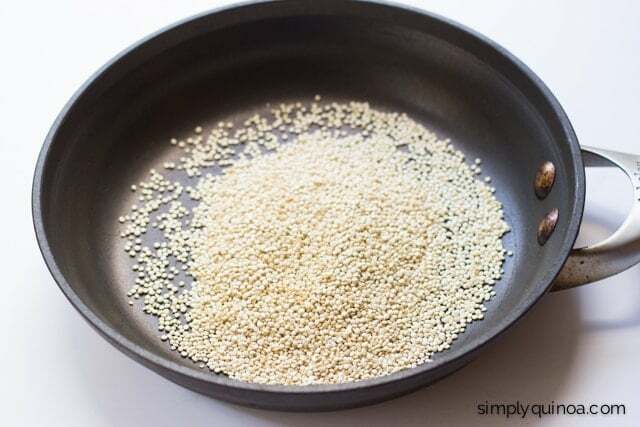 when toasting, do you put the quinoa in a cold or heated skillet? Quinoa is pretty delicate so I would add to a cool skillet. You need to wash the quinoa first or the flour will have that bitter taste at the end from the saponin coating. 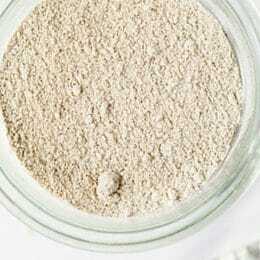 In fact, one of the issues with buying quinoa flour is you don’t know if they washed it first. Knowing how industrialized commerce works and how they cut out any excess labor not sure they will take the time to do this. Wash first to remove that saponin coating.